Yes I know, there are tons of different versions out there. 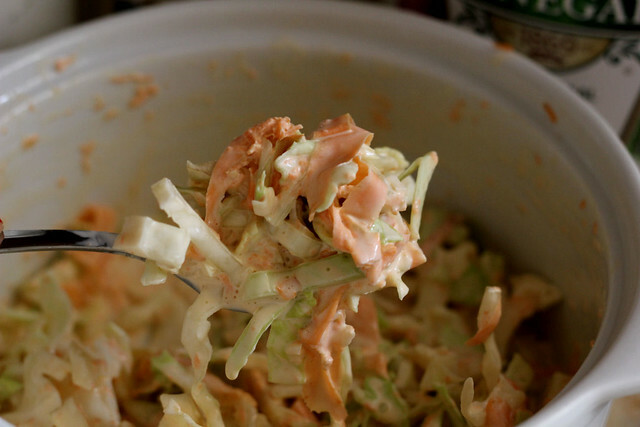 I choose to use a very simple way of making the coleslaw, I want it easy, I want it simple and I want it tasty, and I think I've been able to keep it that way for many years. 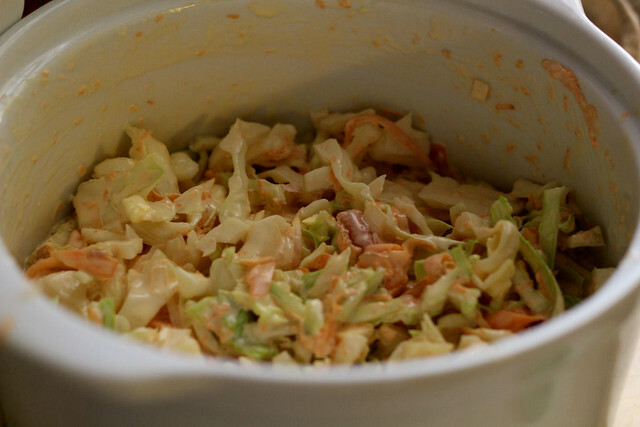 There really is nothing to making this Slaw. I don't measure, and I don't have specific amounts for this. As I've said many times before, I learned to cook with my greatgrandmother and she was all about eyeballing and tasting and going with the flow. 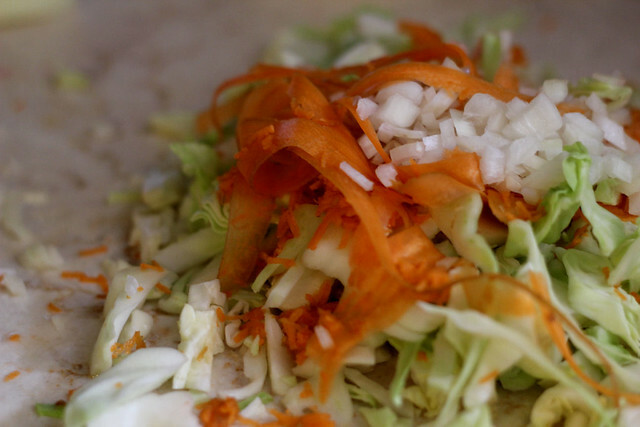 Combine the shredded cabbage, carrot and the onions in a bowl. Add in mayonnaise to taste, stir well until combined. Add in a little bit of vinegar and stir, taste and see if you need more mayo or vinegar, again this is all according to what you and your family like. Sprinkle in about a teaspoon of sugar, give it a good stir and then taste. Keep adjusting the ingredients until it's right for you. Pop in the refrigerator for about an hour for the flavors to combine. 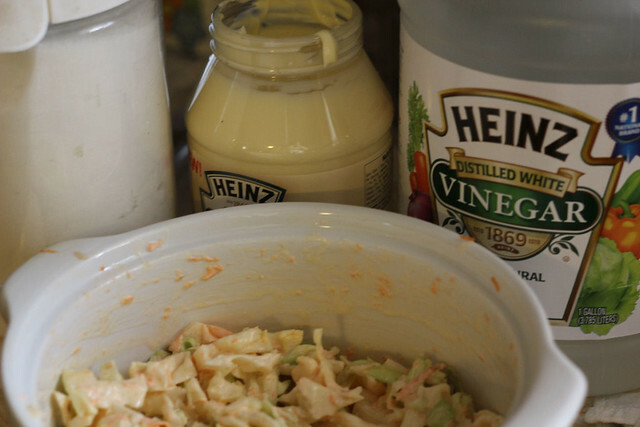 I have been looking for a good recipe for coleslaw so I can put it on top of my roast beef on hard roll sandwich as they do in NJ where I am originally from. So I was very happy to come across this on your blog. Once again, thank you. I love how I can adjust my mayo and vinegar to my liking.